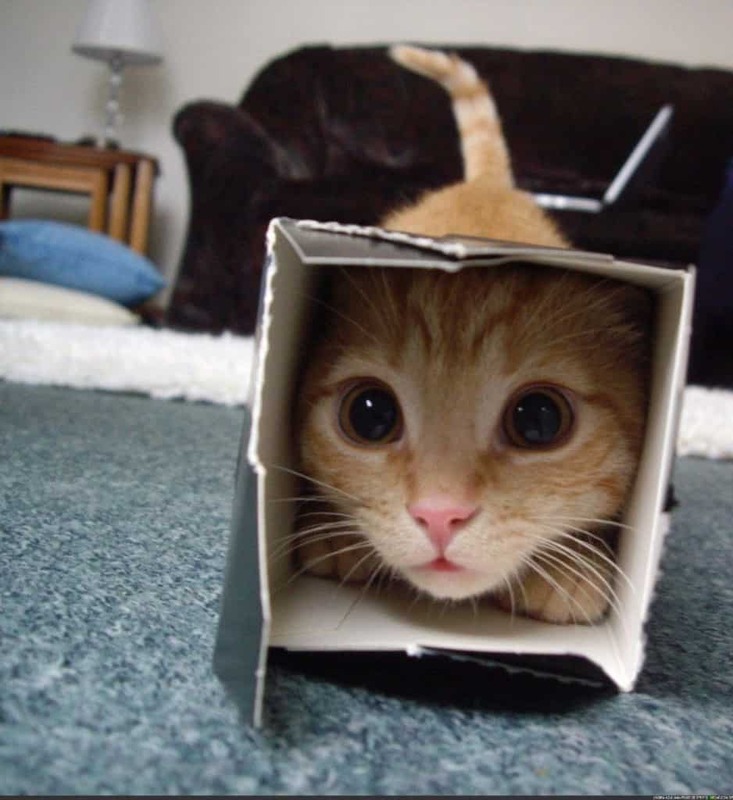 Cats are famous for climbing into boxes, but you’d be shocked at some of the photos people have captured of their own cats in boxes, or box like things, like trashcans. Cats are very clever and flexible animals, and they are very agile. 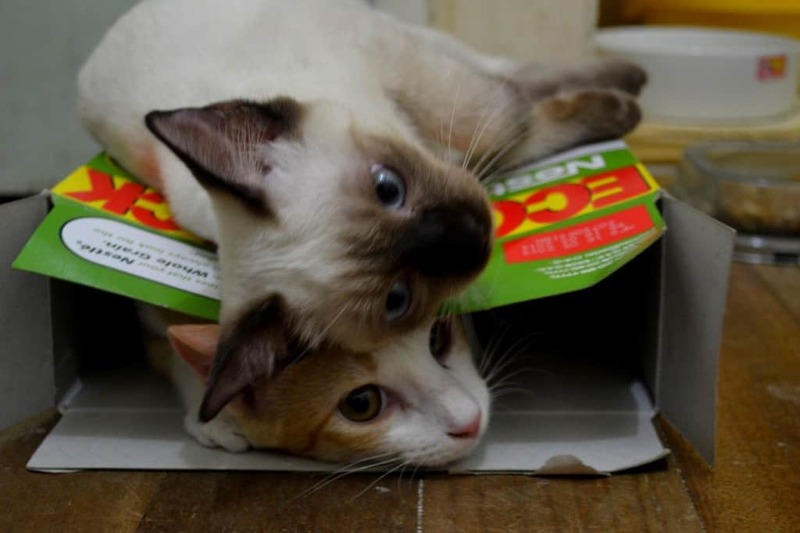 They can fit in almost any spot and their natural curiosity makes it imperative for them to check out boxes, including empty cereal containers. 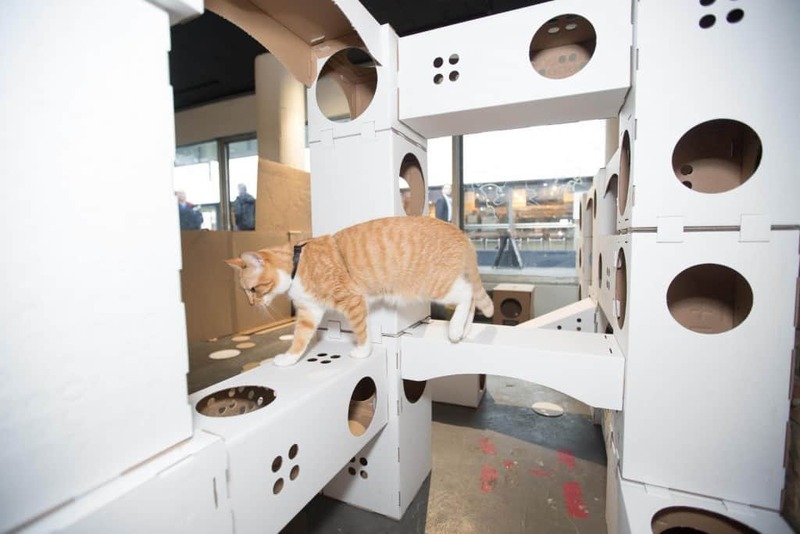 If you have a cat, you don’t need to spend tons of money on bedding or entertainment for them. Simply save them your boxes. If you are in need of a good laugh you are going to find it right here! Who Wants A Plain Box? 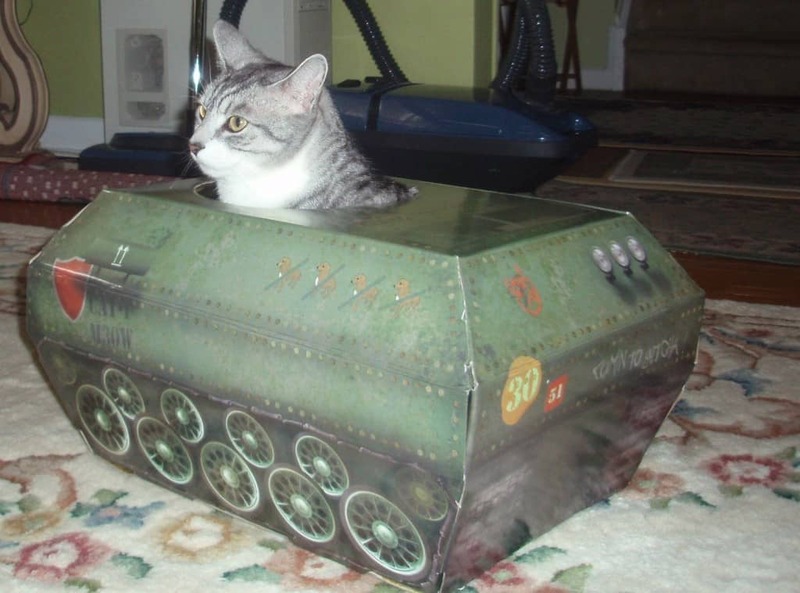 You’ve seen cats in boxes, so why not find fun boxes for your cats, like this tank? Cats don’t care how small a box is. If they can get in it they will. 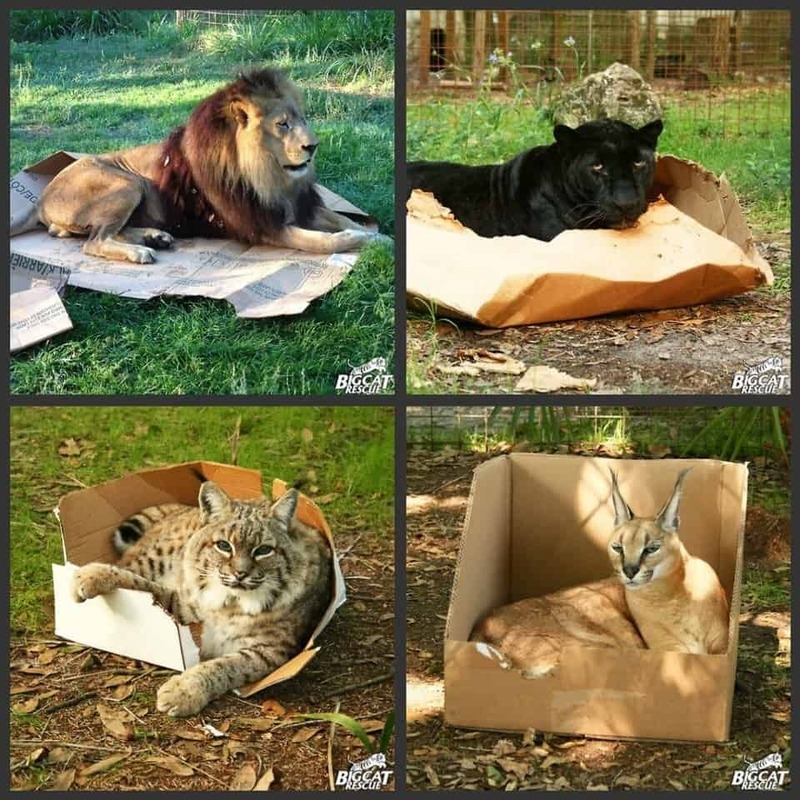 Big or small, all cats love boxes. Some of them are just a little less graceful with theirs. 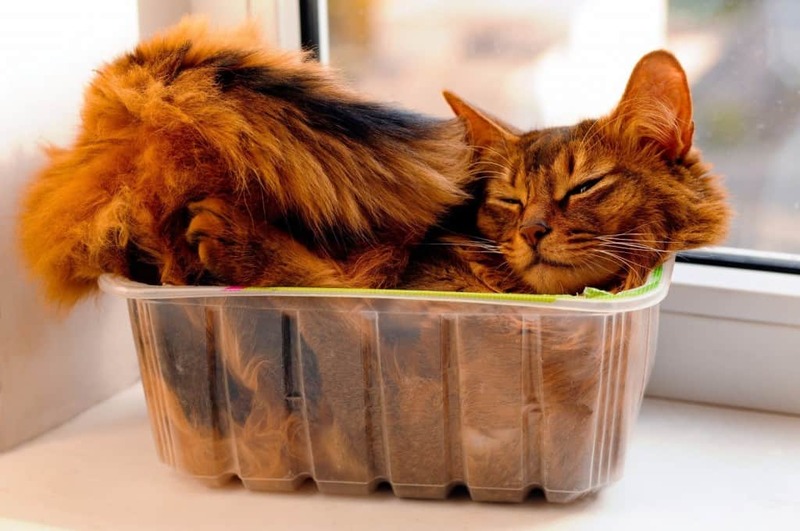 Unlike dogs, cats don’t even need a fancy bed. Instead, a simple box will do. 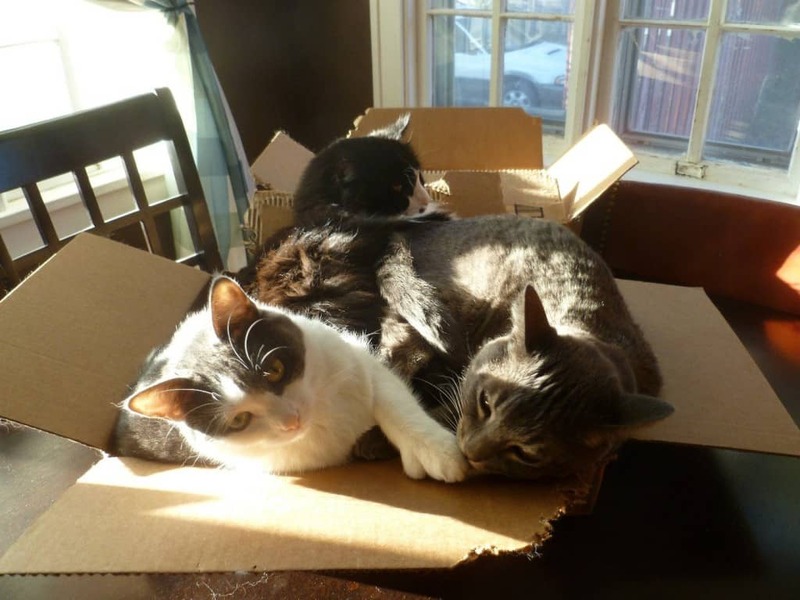 Cats love boxes so much that they are willing to share them with other stuff. 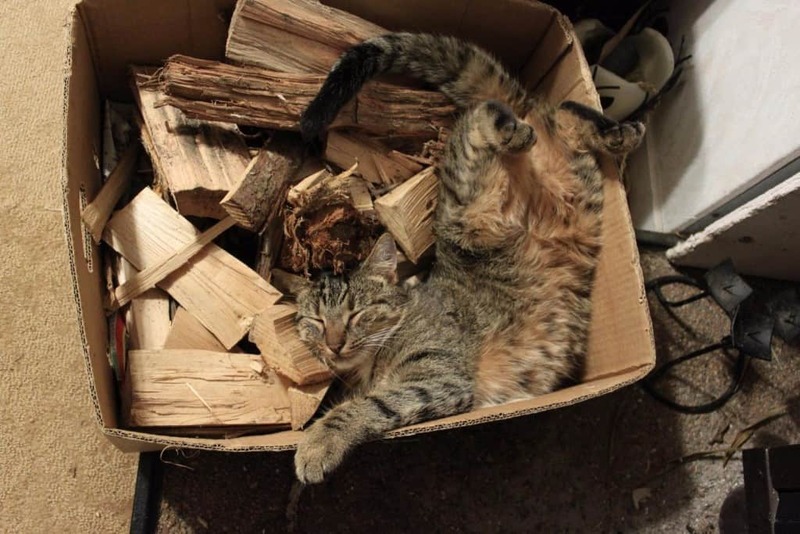 Cats are actually great recyclers. You no longer need to throw out empty boxes. 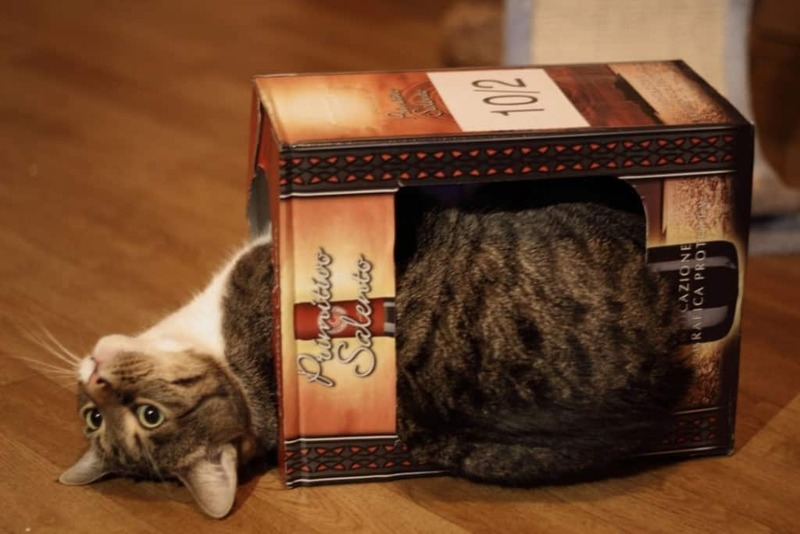 Even an empty wine box makes a great toy for cats. If you are out of boxes, any old tight space will do. 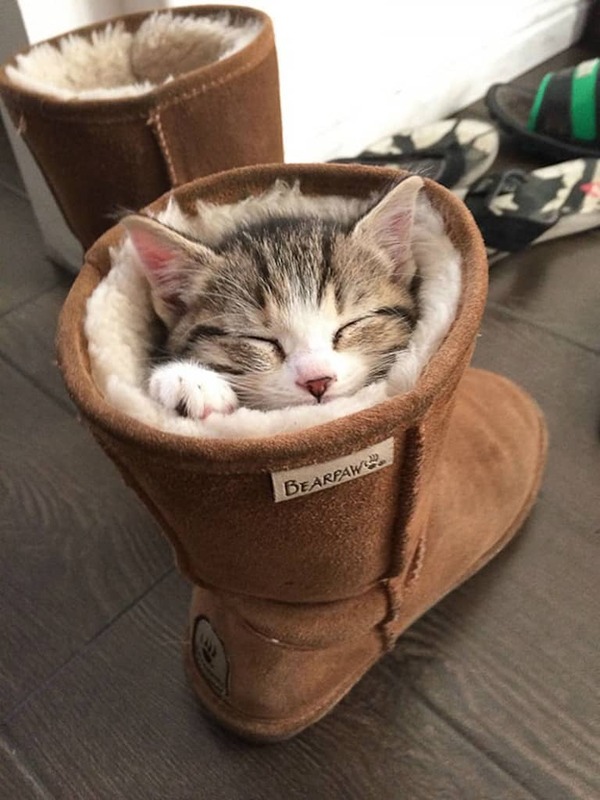 Even a boot. 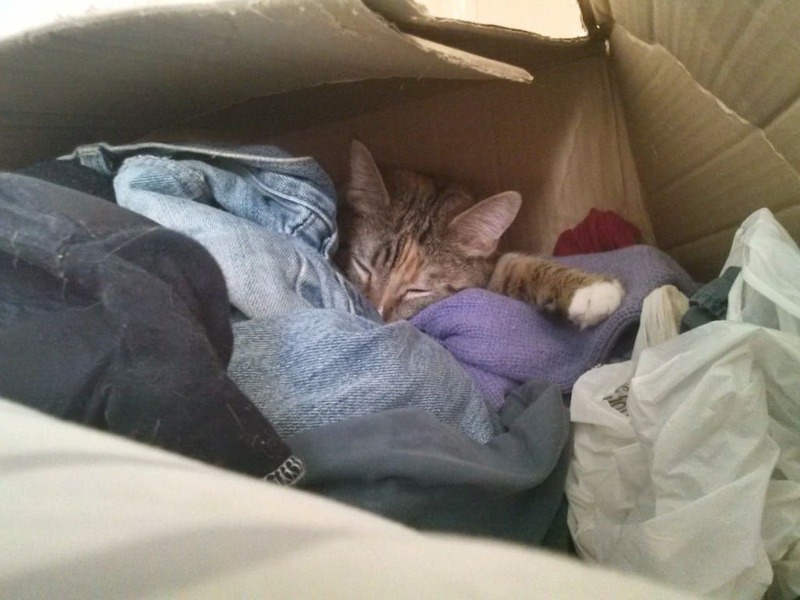 Prevent donating cats by always checking boxes of donations for sleeping felines. 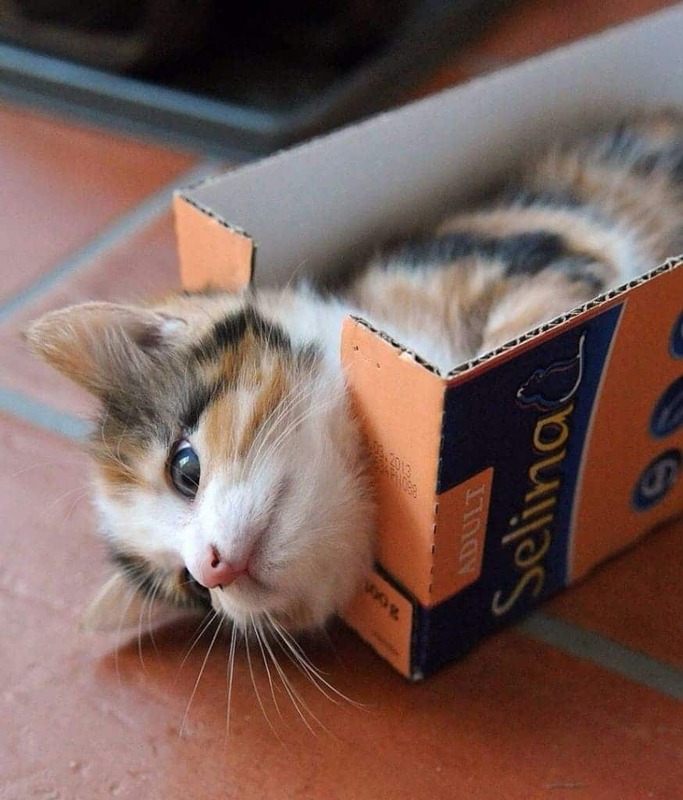 Some cats prefer tiny boxes for sleeping on their feet. 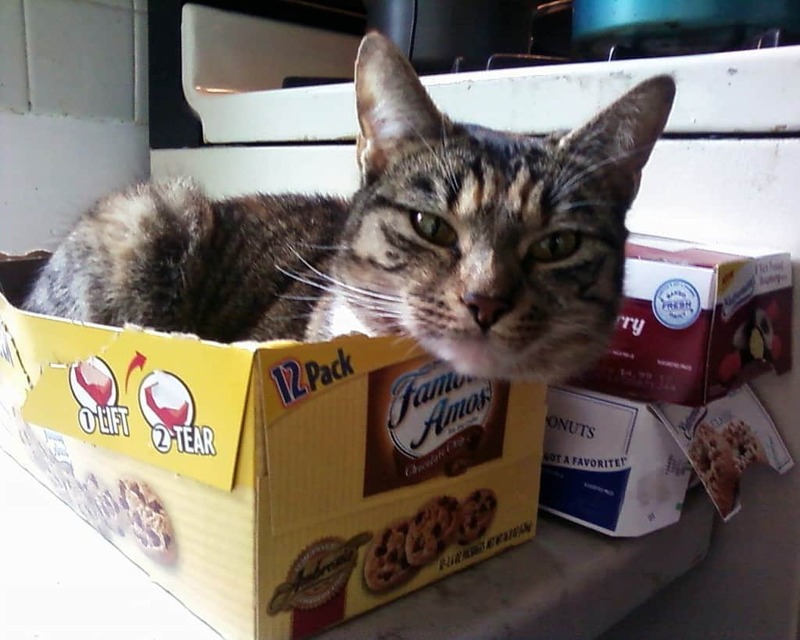 Empty boxes, no matter where you have them, are fair game to cats. If you don’t want kitty on the counter, put the boxes on the floor. Sometimes cats in boxes look like they are getting ready to be part of some catastrophic magic trick. All cat owners know that if you’re working, it’s likely your cat is on your desk or computer. Don’t try to craft with boxes, they belong to cats. This is what will happen if you break that rule. It doesn’t matter. A little plastic will do. 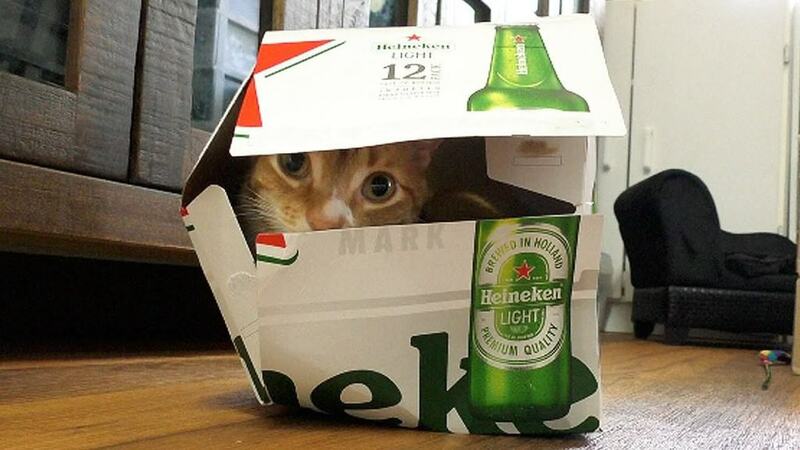 This cat thinks his owner needs to stop drinking. 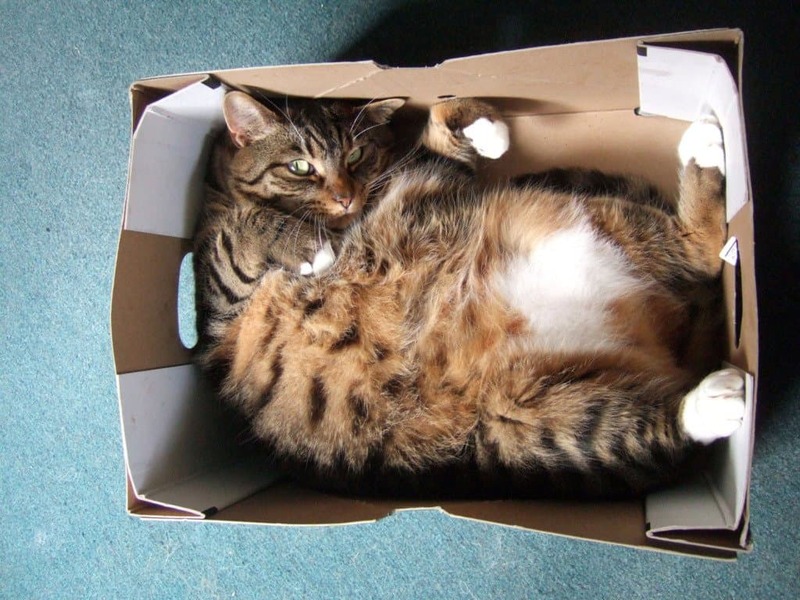 As you can see, all cats prefer the comfort of a tight box. Who cares how much that dog in the window is? 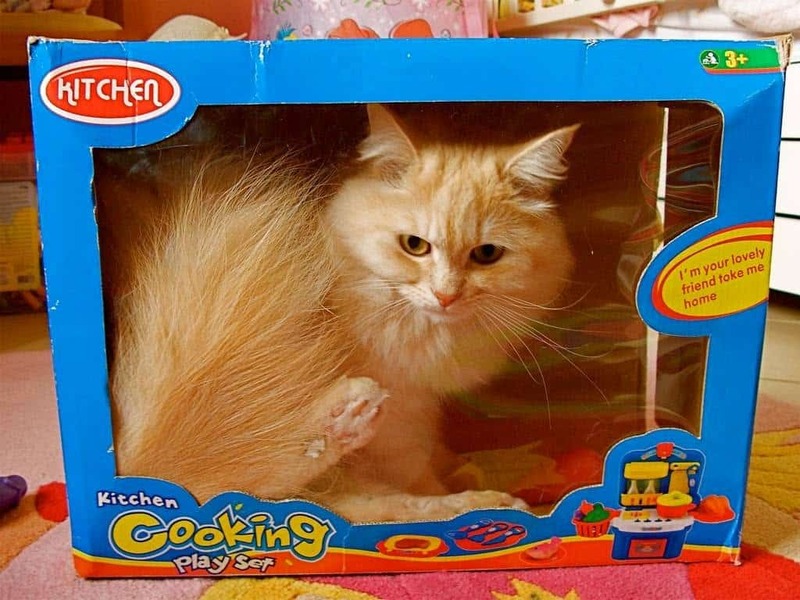 How much is that cat in the toy box? 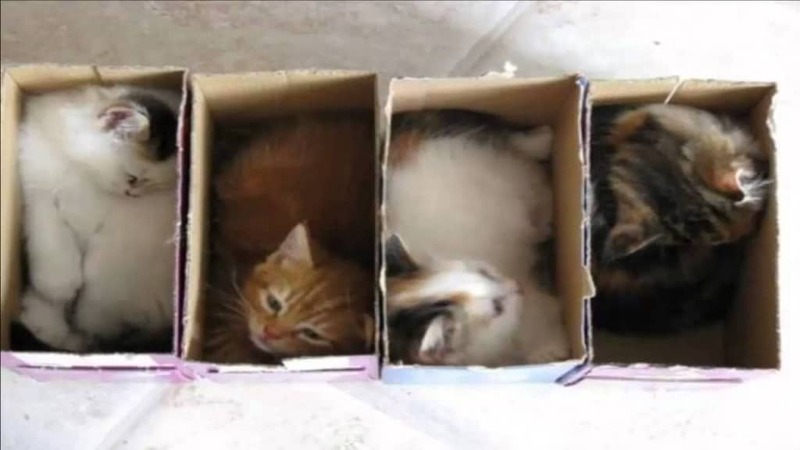 Sometimes, even if you have enough boxes for each cat, they’ll all just pile in one box. 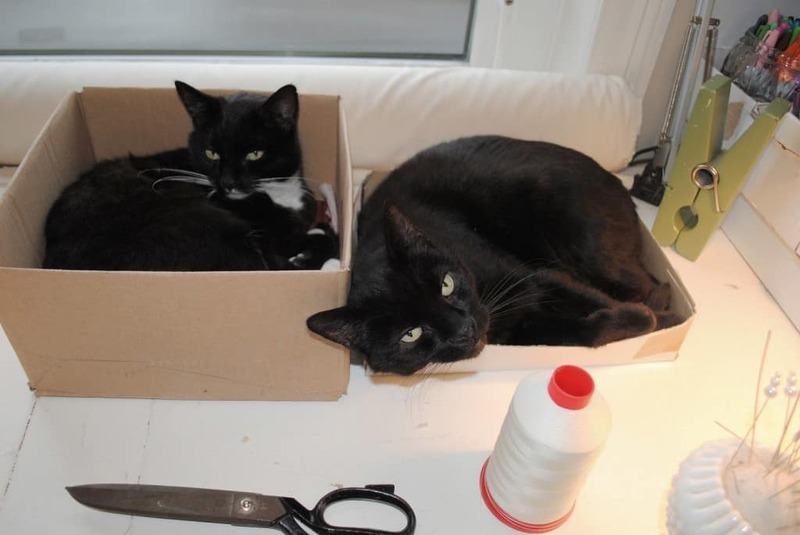 And even if both cats can’t fit in the box together, they’ll still find a way to share. 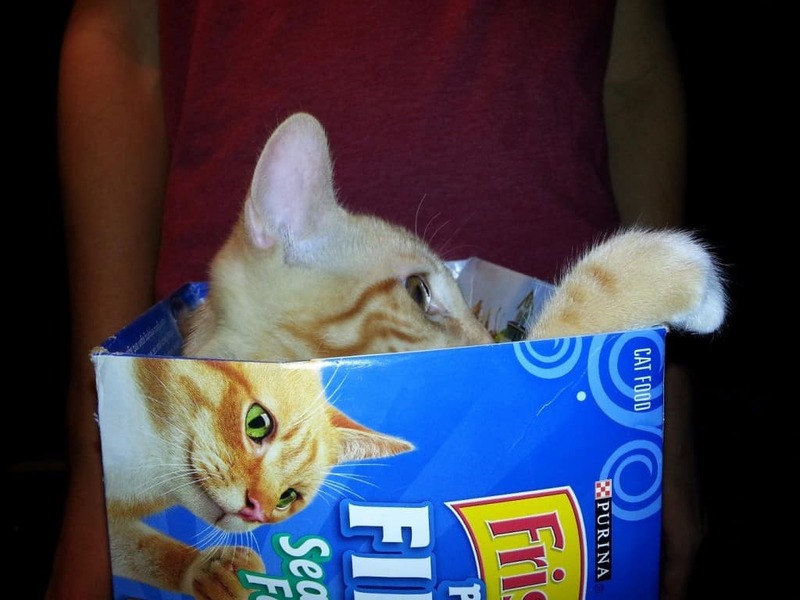 This cat is pointing out to his owner that his box of food is empty and his stomach is starting to eat itself. This literally is cat heaven.